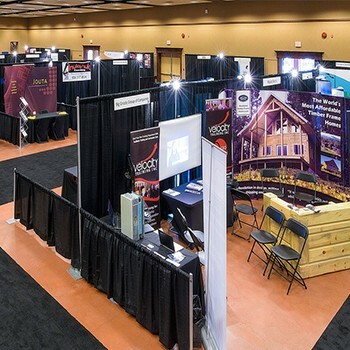 Dedicated trade show space, drive in access and 13,680 sq. 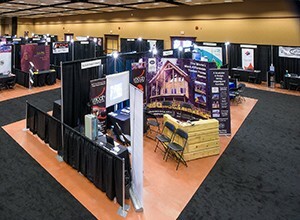 ft. that isn't weight restricted, makes the Penticton Trade and Convention Centre the best trade show space in the Okanagan. Adding to your and your exhibitor's experience is our friendly and experienced operations staff. 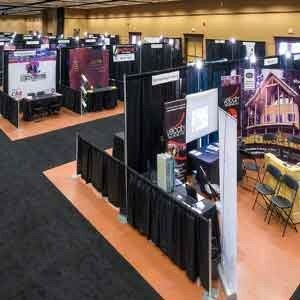 For trade and consumer shows, the experience of our show producers, exhibitors and attendees is a priority. Our can help attitude from load in to load out, ensures that your event will be a success. 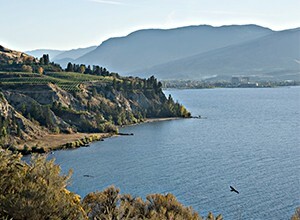 Our total footprint is 60,000 sq. 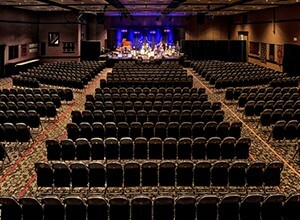 ft. Ballroom 1 (15,051 square feet) with Ballroom 2 (13,680 square feet) are connected by an air wall and are pillar-free, with a clear ceiling height of 17’6” and the exposed truss is 18’. When open, the almost 30,000 square foot space can accommodate 160 10’ x 10’ booths. With the addition of the two naturally lit, spacious lobbies, the expo space greatly increases. 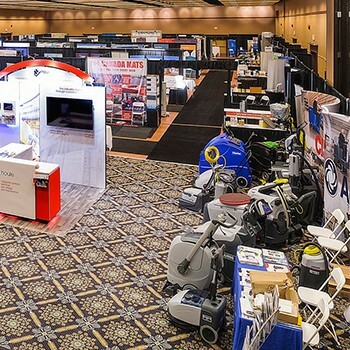 Our crush space and parking area can also extend the trade show square footage, to showcase key partners, sponsors or additional exhibitors. For smaller consumer or trade show shows, the three airwalls in Ballroom 1, can divide the space based on your exhibitor footprint needs. 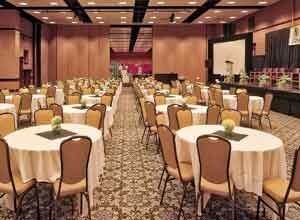 With one drive in loading bay directly into Ballroom 2, the 16’ high by 16’ wide door offers convenient access. For smaller deliveries, two loading bays, on ground level are 10’ high by 10’ wide. ShowTime Event & Display is our preferred show decorator. A sister company to SW Audio Visual, ShowTime Event & Display has worked with our clients for decades. 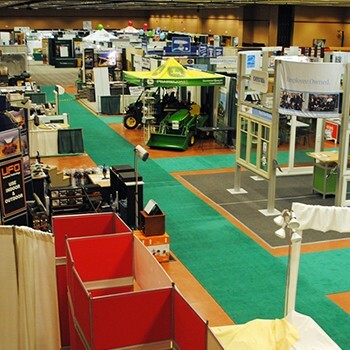 They've assisted many of our provincial and national association clients in their trade show component including: Educational Facility Managers Association, BC Cattlemen's Association, and Western Canada Turfgrass Association.